TP Mazembe secured a 2-0 win over Ismaily in the 2018/19 Caf Champions League Group C match at the Stade TP Mazembe in DR Congo on Saturday. As a result, the DR Congolese giants started their Group C campaign with a win against Egyptian outfit Ismaily. The Ravens piled pressure on the Mango Boys defence in the opening stages of the game and they should have scored through Jackson Muleka. Tresor Mputu Mabi set-up Muleka, who failed to hit the back of the net as Ismaily survived a scare a few minutes into the game. The Mango Boys grew in confidence as the match progressed and they pushed for the opening goal. Ismaily were awarded a penalty just before the half-time break when Mazembe goalkeeper Sylvain Gbohouo was adjudged to have fouled Benson Shilongo in the box. However, Baher El Mohamady missed the penalty on the stroke of half-time with goalkeeper Bakula Bakula having replaced midfielder Abdoulaye Sissoko. Mazembe and Ismaily were locked at 0-0 at the interval. The hosts launched attacks after the restart despite their numerical disadvantage with Meschack Elia working hard upfront. However, the DR Congo international was wasteful as he missed the target twice just before the hour-mark. Nigerian striker Odah Marshal was introduced by the visitors in the 71st minute as Ismaily looked to take advantage of their numerical superiority. Both teams launched late attacks in search of a winning goal and it was the hosts, who grabbed a goal with seven minutes left on the clock. Super-sub Chico Ushindi beat Ismaily goalkeeper Mohamed Fawzi to make it 1-0 to Mazembe with Mputu grabbing an assist. The momentum was with the hosts in the closing stages of the game and Kevin Mondeko sealed Mazembe's 2-0 victory in the 86th minute. 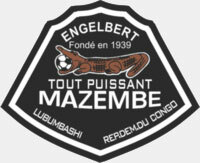 Mazembe: Gbohouo, Chongo, Mondeko, Issama, Ochaya, Sinkala, Koffi, Sissoko (Bakula 45'+1), Mputu, Meschack (Miche 63'), Muleka (Ushindi 82'). Ismaily: Fawzi, Magdy, Metwalli, El Mohamedy, Taha (Bambo 81'), Hamdy, Donga, Rabo (Marshal 71'), Magdy, Sadek (Hashem 77'), Shilongo.